Over the last 5 years I have helped concept and build a proprietary app solution that delivers a uniquely searchable & a uniquely sharable experience. Not only did we build the platform but we bespoke designed every issue for each client. One build delivers iOS and Android apps plus a web version. Each app is truly discoverable and shareable. Carousel This top display unit used for promoting new issues, subscriptions, offers, specific news content, social channels – any and all priority messaging. Here you can see collectable, digital ‘magazine’ issues of The Sims. 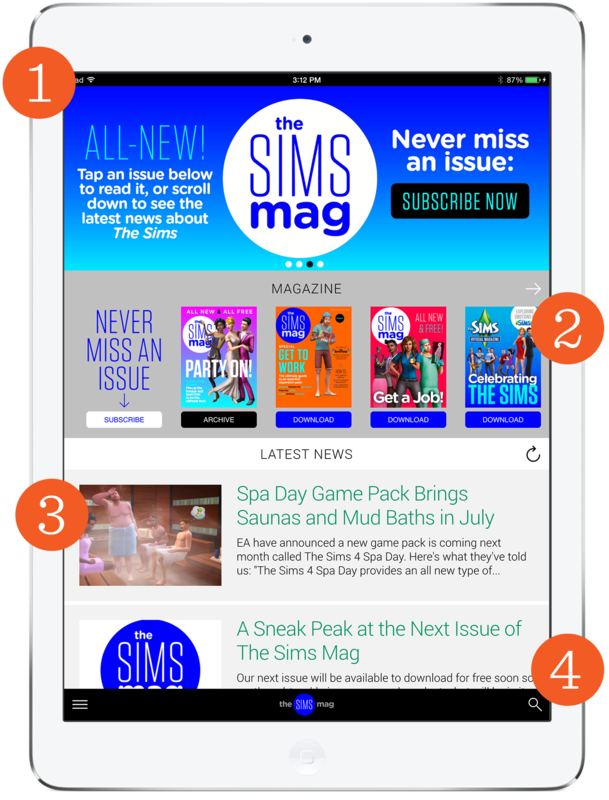 It’s full of the latest Sims how-tos, features, interviews, community and news. The Sims Mag is published bimonthly. various content channels and produced by the in-house Dialect experts. Every piece of content is searchable and shareable with anyone who can read it live on any device. We call them ‘companion apps’, as they’re the perfect mobile digital companion to a brand. The unique proprietary development platform means the app will function as a true digital hub for all the brand communication – tying in seamlessly with existing social channels, communities, marketing activity, retail engine and featuring our editorial, design and video content. We’re all about increasing brand loyalty through amazing content that comes from luminaries in your space and leveraging our app platform to make sure that once a piece of content is published, it goes everywhere. This top display unit used for promoting new issues, subscriptions, offers, specific news content, social channels – any and all priority messaging. Here you can see collectable, digital ‘magazine’ issues of Dragon+. It’s full of the latest Dungeons and Dragons how-tos, features, interviews, community and news. Dragon+ is published quarterly.